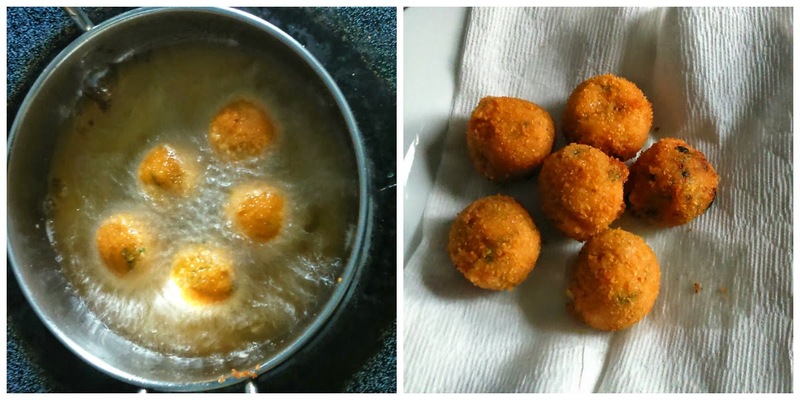 Pavi's Platter: Cheese Corn Balls ! 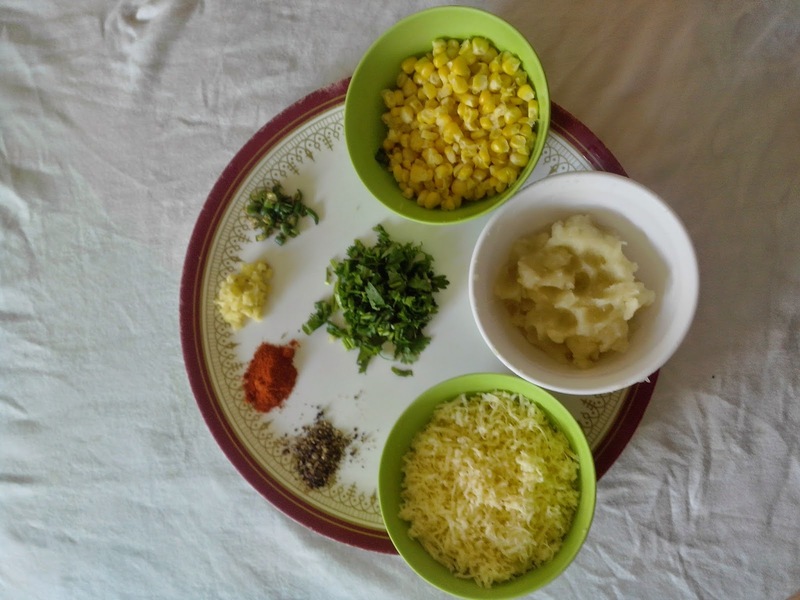 Cheese corn balls is a wonderful starter made with minimal ingredients and also makes a nice evening snack with a cup of tea or for kids after school. Boil the corn in hot water or microwave for 4 - 5 minutes. Grate the cheese. I used cheddar cheese. You can use mozarella too. Finely chop ginger, green chillis and coriander. Run the boiled corn in a blender/mixer for just once or twice. Use the pulse option. Dont make a paste. Now combine all the ingredients with 2 tbsp of corn flour and salt and mix well. Dont add water.. the mixture will be a little sticky due to cheese.. Wet you hands and make equal golf size balls. Spread some corn flour in a plate and roll the balls in it so that they are coated well in the flour. Take 1 tbsp of maida and 1 tbsp of corn flour and add little water to make a batter (not too thick or thin). the batter should coat the balls. Dip the ball in the batter and then roll them in the bread crumbs one by one and keep aside. You can do till this step and keep in fridge for a day too.. and just before serving you can fry them in oil. Heat oil in a kadai and fry the balls in batches until golden brown. Drain them on a paper towel. Serve with tomato sauce / chutney / mayo or anything of your choice. Hope you will try and enjoy the recipe. See you with another awesome recipe.